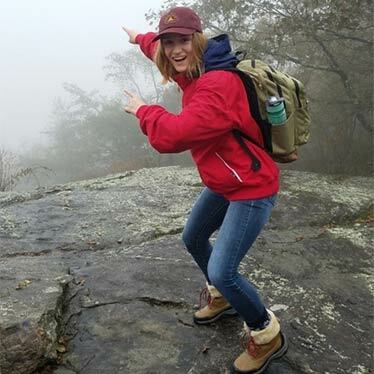 Arianna Disser is currently a junior at the University of North Georgia pursuing a degree in Environmental Science and a certificate in GIS. She joined the Water Lab Fall 2016 and now serves as the Water Lab Manager, coordinating sampling trips, analyzing the water lab data, and taking part in field sampling and lab work. The goal of the lab is to monitor the quality of the water in the Upper Chattahoochee Basin. She hopes to be able to use GIS to help analyze the 30 year water lab data set and to learn more about watershed management. After graduation Arianna hopes to pursue a career involving watershed management and conservation. Her hobbies include gardening and long-term backpacking trips. Kaitlin Ramspeck is currently a senior at the University of North Georgia where she works as an ecological protection lab assistant. Her job consists of rearing predatory beetles that consume the eggs of the hemlock trees’ ultimate killer: the wooly adelgid. The wooly adelgid is a parasite majorly known to infest and kill hemlock trees all across North Georgia counties. Kaitlin feels passionate about the work she does at the school due to awareness of how important hemlock trees are to surrounding ecosystems. Her main interest is in conservation biology work, similar to the work she is currently doing. 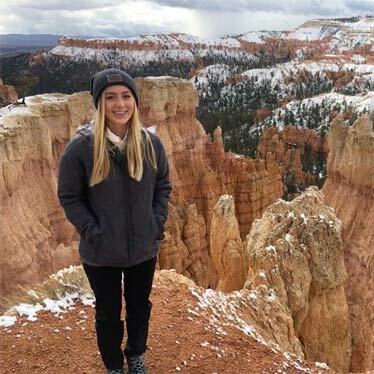 Though unsure of what graduate program she wants to pursue, she wishes to be in a career field that allows her to make a positive impact by providing environmental protection to the earth’s ecosystems wherever she can. 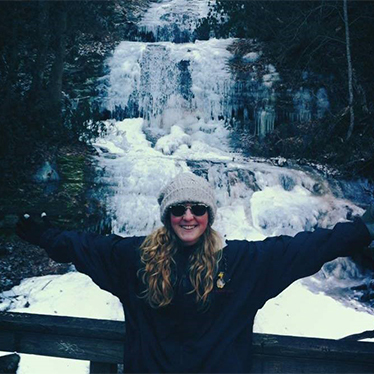 Born and raised in Georgia, she also hopes to find a career that allows her to become an avid traveler. 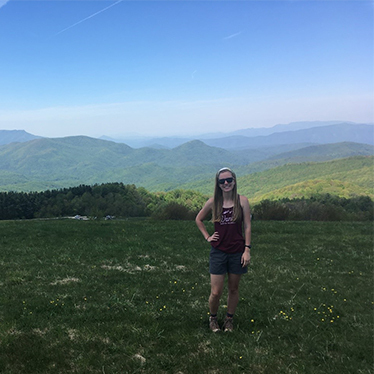 Kaitlin has traveled to Costa Rica in the summer of 2016 for a study abroad Tropical Cloud Forest Ecology class. She has received a FUSE grant that will fund her to travel to Taiwan the summer of 2017 to perform a research project focusing on the differences in soil characteristics and invertebrate diversity between conventional and organic tea plantations. She believes that through travel comes learning experiences that lead us to become more conscientious and diligent individuals. Zachary is a junior studying physics/engineering from Savannah, Georgia. He came to UNG to be in the mountains since he has always lived on the coast. He is an Eagle Scout that grew up camping, fishing, or hanging on in his boat or kayak ever weekend. He wants to pursue a career in alternative energy systems. He joined the Water lab in May 2017 but had previously done testing of the same type for another company working for the DNR. In the lab, he samples the water around Lake Lanier and runs certain tests to find the quality of the water. Jacob is developing the GIS and Spatial Analysis portion of the Environmental Protection Lab. He joined the lab in Spring 2017 as a full-time seasonal worker. 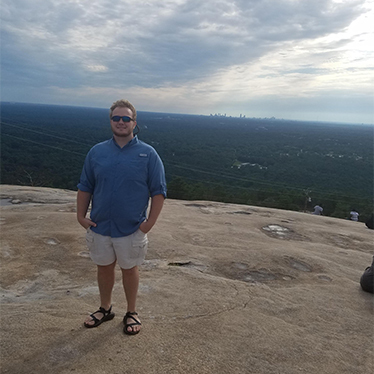 Jacob's primary roles are to create and manage the labs geospatial database, perform spatial analysis on predatory beetle data, and create maps for research and public use. When you hear music blasting from the beetle lab at midnight, its probably Jacob sweating over a data sheet. Jacob grew up in Acworth, Georgia. He graduated from UNG during Spring 2017 with a B.S. in Biology. In his spare time, Jacob is an avid whitewater kayaker and backpacker. He is an Eagle Scout and still participates as an adult leader in his troop. 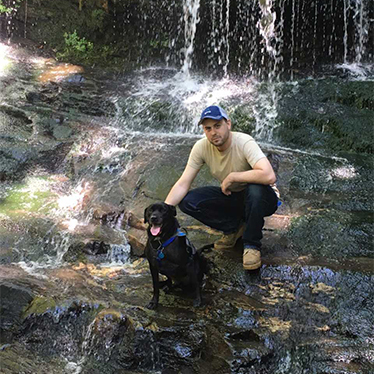 Jacob's career goals are to do spatial analysis and modeling of freshwater ecosystems. Ashley Sawdey is currently a senior at the University of North Georgia where she works as a special projects manager and Water Lab assistant. She has recently returned to UNG from Georgia Tech. Her job started as performing a variety of lab tests to determine the quality of the water in the Upper Chattahoochee Basin. Now, she is a special projects guru. The special projects include EPD certification, procedural implementation, and instrumental optimization. Ashley was born and raised in Duluth, Georgia. She plans to graduate in Spring 2018 with a B.S. in Chemistry, a concentration in chemical physics, and a minor in mathematics. She plans pursue a career as a Master Distiller. In her spare time, she wake surfs on Lake Lanier with her family. I'm 27 and born here in GA. I came to UNG after 6 years in the army. I am a senior studying political science with a focus in pre-law. I am looking into public administration after graduation. I hope to bring sustainability efforts to administrative offices. My dog takes up most of my free time. We make frequent camping trips to rivers and lakes. I'm getting married in October. I am currently working with Dr. Ellis to examine and progress sustainability efforts at UNG. I hope to be integral to getting a sustainability fee enacted to fund campus research and projects. I am a senior Biology major with interests in ecology and wildlife conservation, with specific passions in the herpetology field. 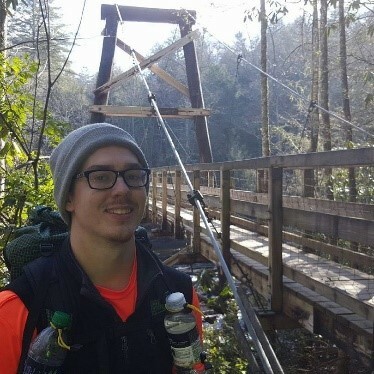 In addition to taking part in the efforts of the Water Lab to maintain the health of North Georgia’s rivers, I am a part of the UNG SCALE Lab pursuing a project involving the effects of human impact on local salamander populations in northeast Georgia. Born and raised in Habersham County, Georgia, and have spent my entire life in the Northeast Georgia Mountains. The goals of the water lab support my passions and career goals of working to sustain local ecosystems as well as preventing the loss of local biodiversity. I plan to pursue a career in one of the many wildlife conservation fields that I am continually gaining knowledge in, and join in the conversation for conservational change on our planet.